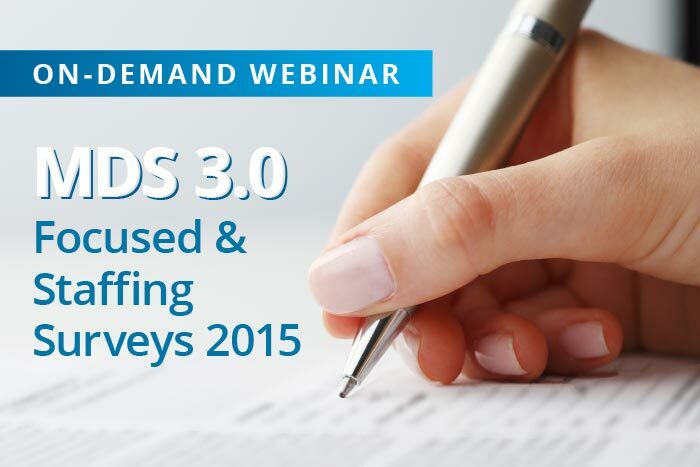 The new MDS focused survey and staffing survey are here…are you ready? Last year, CMS piloted a focused survey in five states to assess MDS 3.0 coding accuracy and their relationship to resident care. In 2015, CMS will expand these surveys nationwide, as well as expand them to assess nursing home staffing levels. On Feb. 3, SimpleLTC and Texas Medicaid Coalition organized a free webinar to answer key questions about the new MDS focused survey requirements. More than 1,000 long-term care providers from around the country registered for this important training. We’re now publishing it here so you can watch it on-demand and download the presentation slides for free.